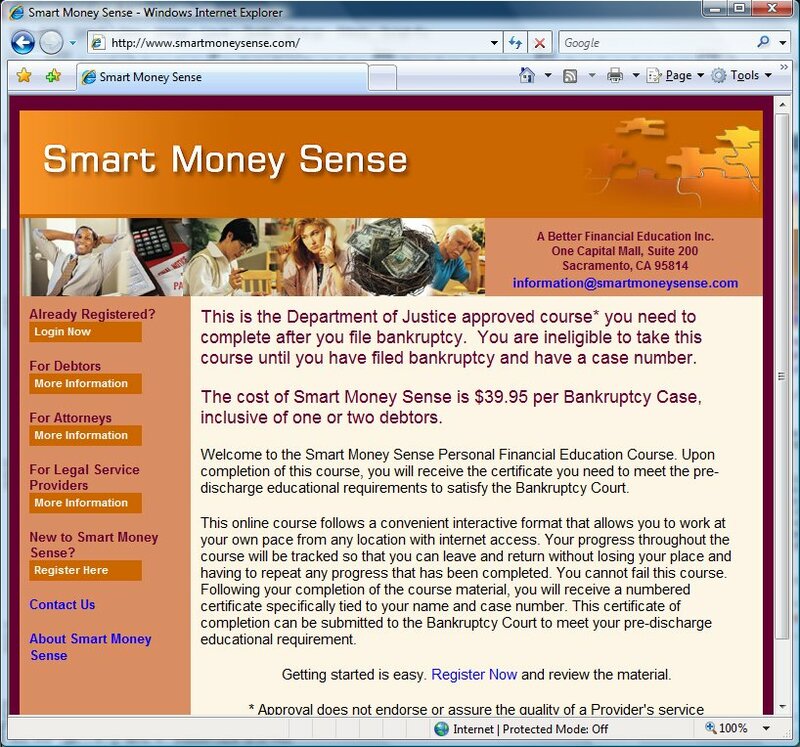 Smart Money Sense is a web-based Financial Education site. The course contains reading material, quizzes, and interactive worksheets. The course allows individuals in bankruptcy to fulfill education requirements of the U.S. bankruptcy code. 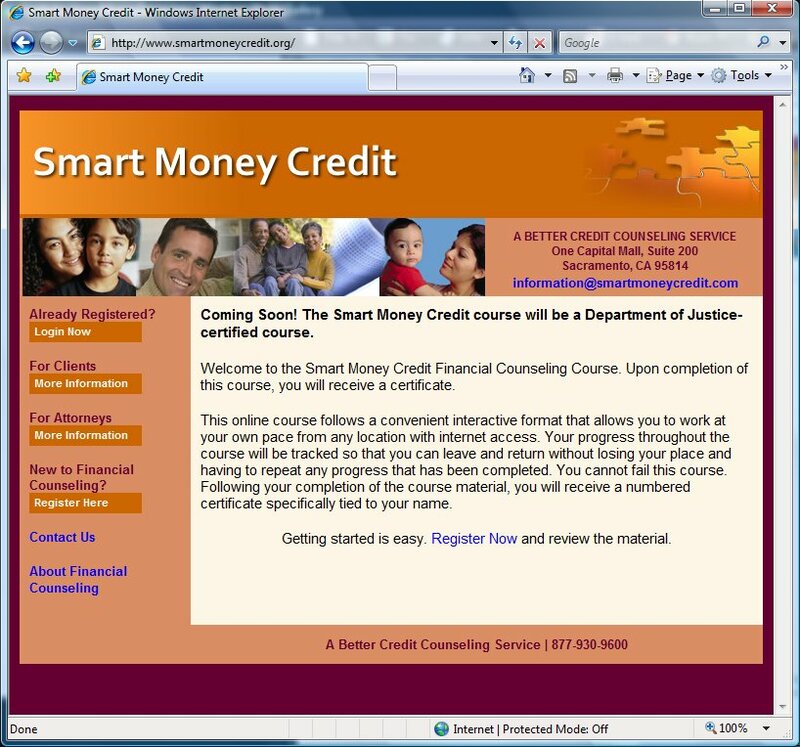 Smart Money Credit is a web-based Credit Counseling site. The course contains reading material, quizzes, and interactive worksheets. The course provides a credit counseling experience to individuals in the United States. The course is pending approval with the United States Department of Justice to fulfill pre-petition requirements of U.S. bankruptcy code. From the Mens Sana website: "The Mens Sana Foundation ( "mens sana" is Latin for "sound mind" ), founded in 1969, is a tax-exempt, nonprofit, public-benefit corporation. Its purpose is to make people aware that (1) the solving of problems of whatever nature and the achievement of goals in whatever aspect of one’s life both rely heavily upon the ability to think clearly, (2) clear thinking is an art that everyone can develop, and (3) understanding what language is and how it works is the core of that art. The website provides an interactive 'cart' for individuals to make donations and request Foundation literature, or make gift donations on behalf of others. Various types of credit cards are accepted through the SecurePay payment gateway. Friends of Mens Sana is an affiliate site companion to MensSana.org. Friends can pre-register on the site and make referrals to the books available at MensSana to receive recognition and rewards. An interesting feature that supports the word-of-mouth spread of the Mens Sana books is that visitors to that site, when purchasing, can select their referring friend on the fly, or enter it from scratch, suppliementing the need for each Friend to have a unique code. 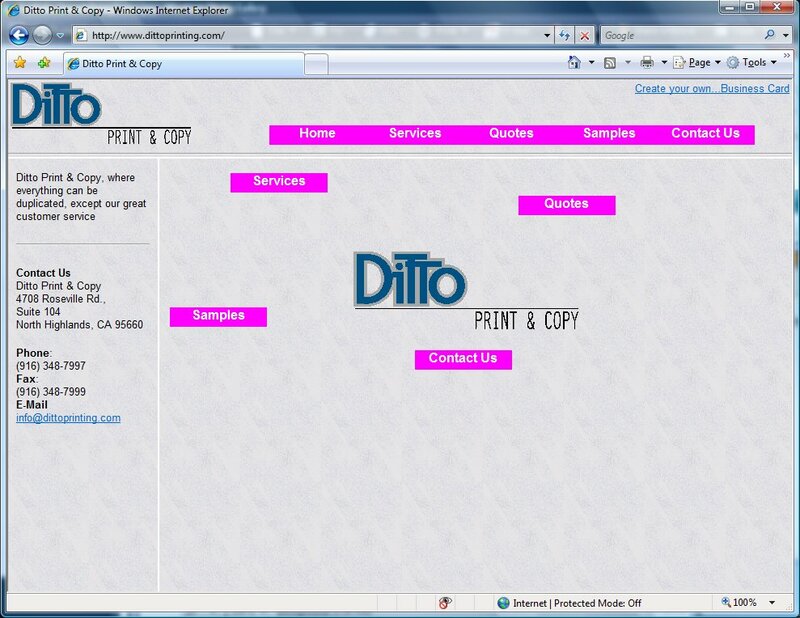 Ditto Print & Copy's promotional website, www.dittoprinting.com, explains the services of the Sacramento-based printing service firm, and offers such features as the ability to email a quote request. 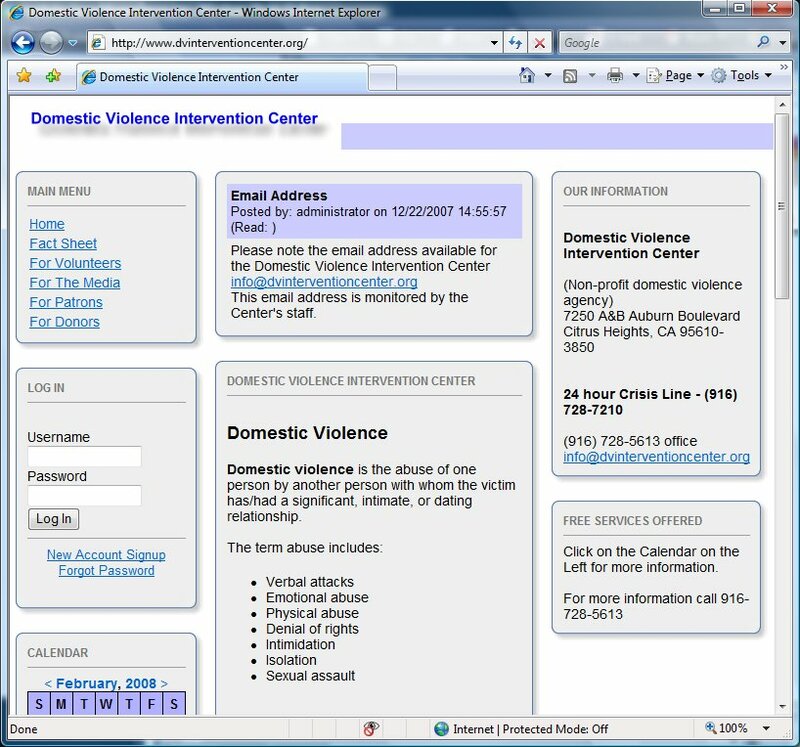 The Domestic Violence Intervention Center of Citrus Heights provides services to victims of domestic violence. The web site provides information to volunteers, the media, patrons, and donors. The site uses the Content Management System (CMS) phpWebSite to allow easy, but controlled updating by webmasters, staff and volunteers.